Keeping the diverse requirements of customers in mind, we are instrumental in providing Safety Life Jacket. 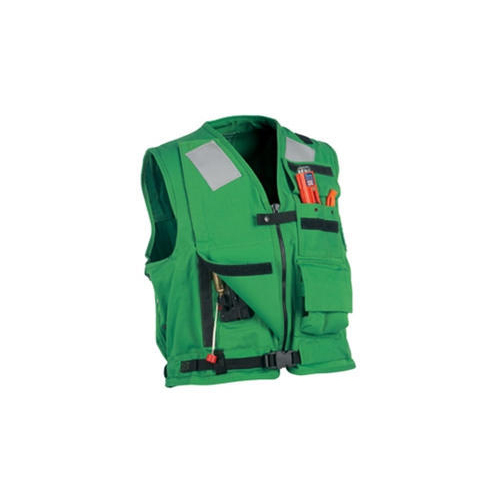 We offer wide range of work vest mk-1. We offer marine safety supplies like work west jackets that are used as personal flotation aids to assist individuals to keep them afloat in the water. Established in the 2018 year at Mumbai, Maharashtra, We “Eastern Shipchandlers Private Limited” is Private Limited Firm and acknowledged among the noteworthy Manufacturer and Wholesaler, Trader of Life Rafts, Life Jacket, etc. These products are offered by us most affordable rates. Our products are high in demand due to their premium quality and affordable prices. Furthermore, we ensure to timely deliver these products to our clients, through this we have gained a huge client base in the market.